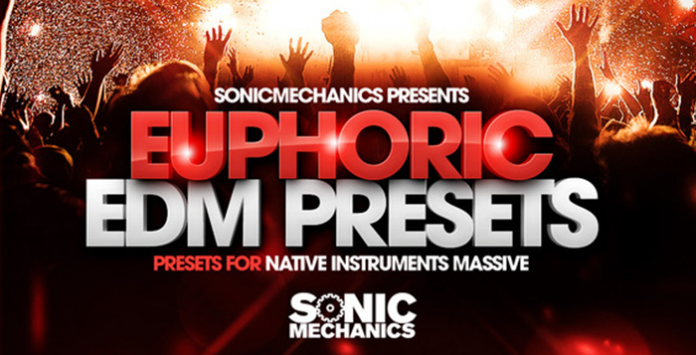 Sonic Mechanics brings you Euphoric EDM Presets, a selection of aural delights crafted with the express purpose of kitting out EDM producers with the indispensable presets needed to create the next level of Electronic Dance Anthems. The pack consists of devastating Leads and Rumbling basses, combine these sounds with the essential Pluck and Fx presets to create an EDM monster ready to get the ravers jumping. The flavour of Euphoric EDM Presets was designed to emulate the next level production styles of the EDM heavyweights but the Presets inside are also suited to many other genres including, Trap, Dubstep, Techno, Hip Hop, Trance, Minimal, Drum and Bass and Nu Disco. The presets inside have been constructed to create styles similar to those used by artists such as, Martin Garrix, Cash Cash, Dillon Francis, Avicii, Calvin Harris, Syn Cole, Madeon, Duke Dumont, Krewella, and many others. So grab Euphoric EDM Presets“and arm yourself with the extreme EDM presets needed to take yourself the top level of the scene!